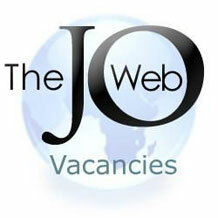 TheJoWeb is continuously seeking talented individuals to join our unique team of designers and web programmers. We are seeking candidates who can bring the same enthusiasm as we bring to our work daily. TheJoWeb is a fun, team-oriented working environment founded on enthusiasm, professionalism, and creativity. Available positions for our Jordan based office. We are also looking for people with natural talent, advanced skills in Photoshop, Illustrator, strong knowledge of Flash and Dreamweaver, and a desire to learn all aspects of the design and production process. You must have hands-on experience with producing graphics for the web as well as an incredible attention to detail. If you are passionate about graphics and the media, an internship at TheJoWeb will be a very rewarding experience. We offer a casual environment where you can work hard and have fun.